Hi this is Sudhir Verma. A freelance 3D artist with 8 years of experience. I provided services like full CG commercial, Character/Creature Creation and TD . ​I have worked as Rigging Artist ,Animator and Digital Sculptor. My other area of interest are Concept Creation, Concept Art and Storyboarding. 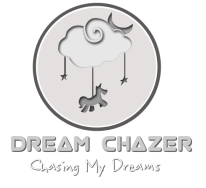 If you have a concept which you want to realise in 3D or want a full CG commercial service or just want to get your character/creature to life , get in touch at sudhir@dreamchazer.co.in or use Contact Me form.